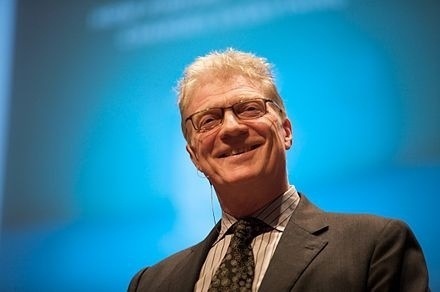 I am fascinated by the wisdom, wit and clarity that Sir Ken Robinson always brings us in his speaks on education and creativity. It made me think of what this means in specific behavioural terms. Our capability to be truly innovative and bring valuable contributions to the world society comes also from what we learn to DO and how we – as kids – learn to interACT in our education journey. The huge innovative potential in the kids starting school this year is already starting to erode, and the key to create value and capture value might be lost. What verbal behaviours can help school systems integrate creativity skills? At Huthwaite International we observe and research also verbal behaviours of highly effective people interacting in creative meetings and what outcomes they achieve compared to their average peers. Working in creative teams specific communication skills come into play when people to brainstorm and innovate. The skill set compared to ordinary non-creative and formal meetings differ in a verbal perspective in the way participants behave. For example the ability to ask clarifying questions and build on other participants contributions are verbal skills that help achieve better outcomes from such meetings. Would these verbal skill sets also work on kids creativity, ability to work together more effectively as a team, and achieve innovative outcomes? A study by Sheffield Hallam University’s (SHU) Centre for Science Education, begun in 2010, has used Huthwaite International’s unique research data into Verbal Behaviour Analysis (VBA) to work with over 70, year 11, children in South Yorkshire to address the issues brought about from the lack of communication skills, with interesting results for their confidence and achievement in and out of the classroom. Last month school children attended a special Verbal Behaviour Analysis (VBA) day at Huthwaite’s Wentworth headquarters, and have now produced this film illustrating the power of VBA in assisting learning, communication, collaboration and clarity of thought. To help the children achieve this amazing result, they have been using the same behavioural skill sets over recent months to help with classroom learning and their general communication ability, under the guidance of Huthwaite consultants, their science teacher Jenni Monach and Dr Lynne Bianchi of Sheffield Hallam University. 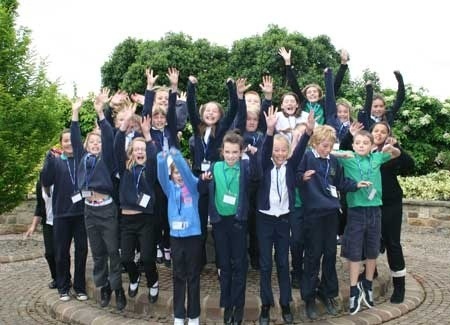 Pupils of Grenoside Primary School come together for a group photo in the court yard at Huthwaite International’s headquaters. How come we have seen only a few really truely disruptive innovations in the last centuries and decades? Would we see more disruptive innovation if we integrate better communication and interactive skills among children in school systems? Ken is an English author, speaker, and international advisor on education in the arts to government, non-profits, education, and arts bodies. He was Director of The Arts in Schools Project (1985–89), Professor of Arts Education at the University of Warwick (1989–2001), and was knighted in 2003 for services to education.